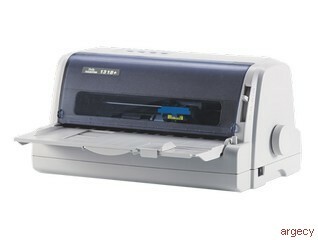 Tally Dascom's 1318 flatbed serial dot matrix printer is a 9 pin, 80 column printer with USB and parallel interfaces as standard. The 1318 is ideal for front office applications in retail outlets, travel agents, train stations, banks and doctor's surgeries where space is limited. With high quality output, an easy to use control panel and the option to use pre-cut or tractor fed paper, the 1318 is ideal for counter-top printing applications such as, tickets, receipts, forms and multipart documents. The long life ribbon of the 1318 means fewer ribbon changes, less downtime and lower running costs. With print speeds of 240 characters per second (cps) and flexible media handling it keeps transactions smooth and the user happy. The 1318 is a reliable and easy to use printer, with low running costs and a space saving size.